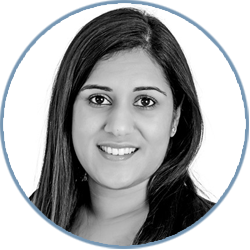 Narinder joined Griffin Law in January 2017 as a solicitor and has been promoted to an Associate in July 2018. She qualified in 2014, with a degree in Law from Birmingham City University. Before Griffin Law Narinder practiced in a range of practice areas including commercial, property and litigation with London City Firms. She is a litigator not afraid to immerse herself in new and complex subject areas but specialises in professional negligence, breach of contract and contentious probate. Just as with her work, Narinder enjoys a new challenge. She is an avid baker and cook and is continually trying new and adventurous recipes on her very forgiving family and friends.